IRVINE, CA--(Marketwired - June 22, 2015) - American Industrial Systems, Inc. (AIS) a leader in the development, engineering and manufacturing of open architecture, PC-based Automation solutions, Industrial panel (IPCs) and HMI touch-panels offers their Web-Based, Thin Client HMIs and Cloud-Based, Compact Terminals. 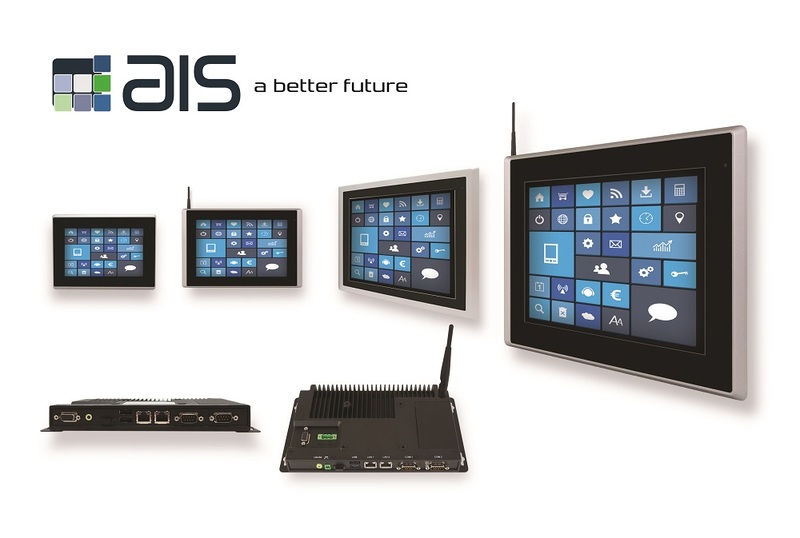 AIS's browser-based, HMI thin clients and operator interface terminals are based on their proven industrial HMI hardware engineering, design and customization capabilities. Their open architecture, thin clients are low-cost operator stations that can be used in large plants alongside with their rugged, Industrial panel IPC counterparts. As remote operator terminals, AIS thin clients also allow for the use of SCADA, office and IT functions. AIS browser-based, touch-panels or Cloud-based operator terminals are operated using a touch-screen, via an external keyboard or mouse connected to the USB interface. Historically, HMIs were originally developed to monitor and control programmable logic controllers (PLCs) to enable users to view and control analog and digital inputs. Today, HMIs play a far more important role and often drive the control and automation systems selection process due to their impact on operator productivity and plant efficiency. As more and more companies run HMIs from servers accessible by standard Web browsers, rather than load complete HMI software on every PC, AIS's browser-based operator interface terminals become the ideal solution for commercial and industrial applications. In Thin Client HMI applications, the processing is performed in a server, often with redundant backup. It also usually resides in safe, protected environment and area. AIS Thin Clients, cloud-based touch panels communicate with a host panel Industrial Panel IPC from AIS as well, and therefore do not require installation, licenses or additional software on the unit itself. AIS Browser-based, HMI Thin Clients offer a very cost-effective way to run an operator station on-site at the machine with high convenience from Windows functionality and applications. Typically, applications include a second operator interface station at large or distributed machines in connection with another AIS Panel or Industrial PC as well as a remote cloud-based operator interface terminal in client/server applications. Thin Clients require only one IP address and large distances from the AIS host can be covered over Ethernet at a low price. Local software installation and configuring are not necessary for AIS browser-based, Thin Clients. Since the display and user interface are provided by the host, the AIS Thin Client terminal also does not have to implement backup, restore, or update actions. As remote operator terminal are without hard disks and fans, AIS thin client touch-panels can be operated on machinery with particularly high mechanical vibration without a problem. All these factors combined add up to lower total costs of ownership when implementing AIS cloud-based HMIs. Windows Embedded Compact 7 is a componentized, real-time operating system designed for small-footprint devices at the edge of enterprise networks. With support for x86 and ARM architectures, Windows Embedded Compact 7 allows devices to leverage the latest innovations in hardware, and equips developers and device manufacturers with the tools they need to create nimble, enterprise-class intelligent system solutions, while reducing time to market. Rich Multi-Touch Experiences:Developers and UI designers to rapidly create multi-touch user interfaces that are powered by the speed of native code. Multi-touch and Gestures: New multi-touch support adds to existing plug-in engine enabling intuitive input and gesture based interactions. Office and PDF Viewers: Updated applications for Office and PDF viewing capabilities will enable users of Compact 7 devices to access their important information through devices beyond the phone and the PC. Remote Desktop Protocol: Enables Windows Embedded Compact 7-based thin clients to connect using the latest version of Windows Server remote computing technologies with the Remote Desktop Protocol. Media Player: Perform multiple actions beyond play, rewind, fast forward, pause, and stop. A new, powerful interface provides better web compatibility for Windows Embedded Compact 7 by supporting media player 7.0 OCX when browsing. Connectivity: Connect your device easily using LAN, WiFi, GPRS, Bluetooth or USB. Headquartered in Irvine, California, USA, American Industrial Systems, Inc. (AIS) offers in-house electronic and mechanical design, software development, manufacturing, production and quality control services. Offering one of the widest ranges of industrial computing solutions, AIS solutions are available in a multitude of configurations for industrial, oil & gas, military and marine applications. The company is fully committed to empowering, improving and delivering turnkey HMI, monitoring and display solutions for OEM, ODM and end-user customers. AIS is an ISO 9001:2008 certified supplier and manufacturer of rugged computers and displays, and received completion of the International Traffic in Arms Regulations (ITAR) registration from the Directorate of Defense Trade Controls (DDTC). For more information, visit: www.aispro.com, email: sales@aispro.com or contact: 1-888-485-6688.